The world's best off road tires for kids! We created the Loam Star tires after not being able to source really top end tires from the traditional manufacturers. The Loam Stars have an aggressive tread pattern to help shred through the dirt while still maintaining a fast running center tread for the street. 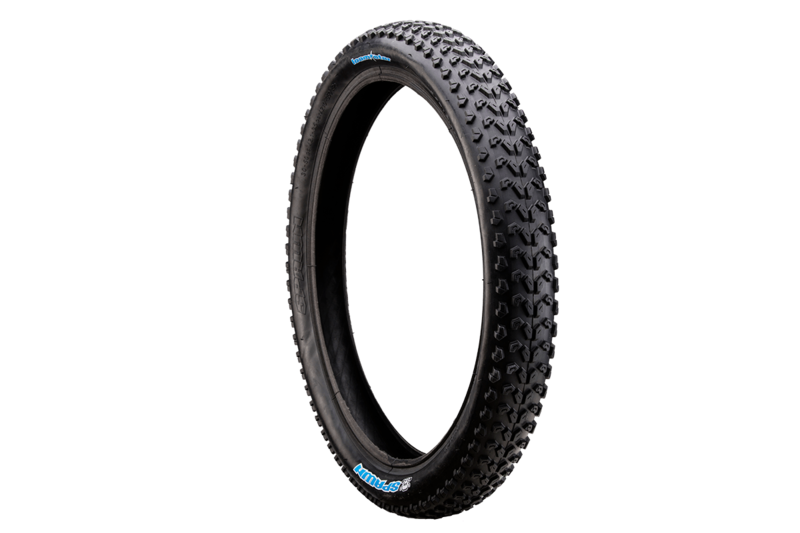 Thin sidewalls, a soft rubber compound, big volume and super light weight combined with puncture protection help make these the best off road tires available in a 16" size in our opinion!